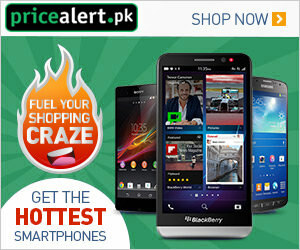 Here i am going to throw light on a recent and one of the unique news from Pakistan Railway E-Ticket, Seat Price, Home Delivery, Information. One of the most thrilling and new innovative news is before you from Pakistan Railways which is the Govt as well as Federal Government Department is working the Ministry of Pakistan Railways has currently announced the recent and highly easiest method of online method of E-Ticketing via this online system one can easily book its details by following the respective method and this is the most important and one of the well and good step for the public to use this facility frequently while sitting at your house one can easily book tickets within short time period. This good news will be given on 3rd October 2016. Currently this facility is just available for all those trains which are running between Lahore & Rawalpindi and Greenline Train. Really soon it will be begin for all the trains. So, there are further some steps to register and how to pay the fare for it. So, now let’s have a look on its registration details and its latest details. 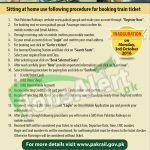 The foremost step for registration is to visit the website of Pakistan Railway as www.pakrail.gov.pk through this website and will get the registration. While creating the account the passengers have to put the right email address and contact information. Through receiving code on cell phone confirm your cell phone number. For email account conformation one need to log in and confirm the email address. For booking seat click on “Go for e Ticket”. Click on “Search Seats” for choosing the desired station and date and then select your respective train and Class. After selecting the seat click on “Book Selected Seats”. By completing all these process the persons are required to read the “Note” provide information and click on “Continue”. These all are the processes which needs to be followed and now I will let you know about the fare paying process. For the above method of paying fare for each there are few details which will be discussed one by one. Those who select the Credit/ Debit card needs to provide the card number and confirm the seat. Those who will select the UBL Omni Shop so pay the fare so one need to inform the code number and pay the amount and confirm its seat. In case of selecting the 3rd option as UBL Omni Account so log in on Mobile Omni Application pay and provide the order number. After doing whole of these processes of fare paying you will receive a confirmation code via SMS on your cell phone from Pakistan Railways. After getting this SMS the candidates will be confirmed that their booking have been done and in that message all the details will be given as Fare, Departure Date, Time, CNIC Number, Bogie & Seat Number and etc will be mentioned to show the Ticketing Checker. In case if one missed such details so the passengers will be considered without ticket.